From sustainable fashion brands and organic farmers markets to the best present ideas for that hard-to-buy someone. 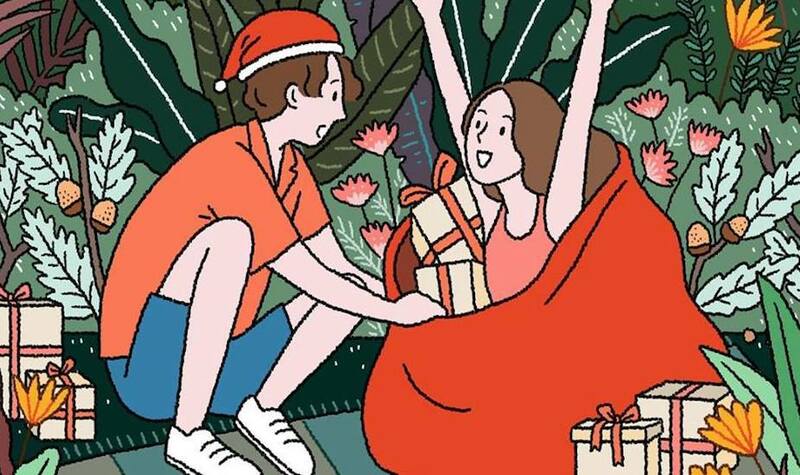 This guide will put an end to all your gifting woes. Can you believe that Chrismas is almost here? Yup, we’re already rounding up NYE parties and booking a table for festive feasts – another fun but sometimes gruelling task we can’t skip? The shopping. After all, it is the most wonderful time of the year to treat yourself or spoil your loved ones with gifts. To ease things a little, we’ve put together a bangin’ Christmas quiz (you can thank us later!) and also sussed out the best Christmas markets in town. 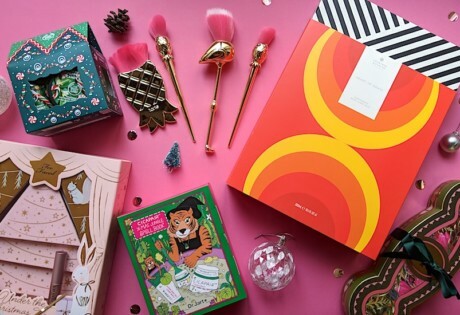 If your mind goes blank when it comes to gifting, make a beeline to Bugis Junction for some gifting inspo. With a bevvy of food, lifestyle, accessories, toys and collectables booths extended all the way to the fountain area, you’re sure to find something. Make your gifts extra special by getting them customised at the #YouDoYou Customisation Service booth at Bugis+. Out and about in the CBD? Seek refuge from the blazing hot sun or rainy weather (we really don’t know at this point) for a sweet pop-up by Naiise. Enjoy a special 10% discount for every $100 spent and free-gift wrapping service at the booth. Katong Square is coming to life with a sparkly lineup of performances, fun activities and a flea market for the whole crew. It’s gonna be a jolly affair of tea and kueh pairing by Camilla Tea Bar & Kim Choo, shows by Wolfgang Maestro Orchestra and a chance to burn some holiday weight with a Brazilian Jui Jitsu class by Gentle Arts. Yup, quite an eclectic mix but rest assured you’ll be entertained throughout the night. Deck the halls with boughs of holly-day spirit as Loop champions sustainability and craft this gifting season. You’ll get the chance to meet environmentally conscious businesses and participate in upcycling workshops. Complete the festivities by dropping by the retail market where you’ll discover vendors like Trickavu x Cosmicqweens, SeiroSecca, SticOnArt and The Better Straw Company. Craving for a little French? Drop by Petite Marché for a true French farmers market. Be prepared to stock your pantry with fresh fish, seafood, meat, cheeses and baguette that’ll make even Julia Child squeal with joy. Admission is only a dollar with all proceeds going to The Salvation Army. Admit it, receiving one thoughtful gift trumps being gifted a handful of obvious last-minute prezzies. And where can you find ‘em? At Overjoyed’s Winter Wonderland Marketplace. Get your hands on hand-painted watercolour floral artworks, hand-crafted leather goods, customised calligraphy and loads more. Plus there’s also a series of activities waiting for you. Pockets of joyful surprises are waiting for you at Greenwood Fish Market’s Christmas fair. Think vendors ranging from food, makeup, to even bespoke travel planning services – yup, quite an eclectic mix. Word has it that Santa Claws (a lobster Santa) will be paying a visit. Intrigued? So are we. Yes, this Xmas market might be happening after the festivities but it isn’t over until we say so! Grab some artisanal gifts and festive bakes made by local crafters like Stonedge, Livet & Co., Party Modern, Nuffypuffy, Just Julia and enjoy foot-tapping melodies by live musicians including buskers, Johan Lee and Jason Yu at the festive edition of Wheeler’s Estate’s market. Be merry in a conscious way this holiday season as The Green Collective makes the joy of gifting an eco-friendly one. Get your goodies from sustainable brands among the likes of Matter, August Society, Zhai and Wellness Within. It’s not all shopping though. 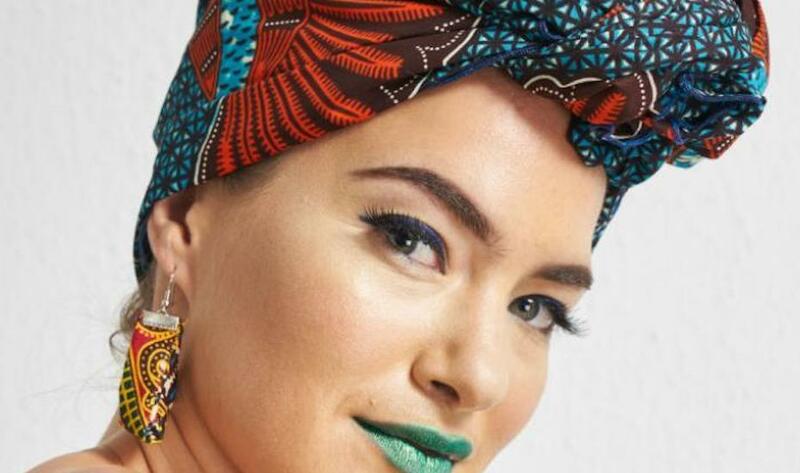 Get a hands-on experience with a series of microgreens and worm farming workshops and learn the art of batik printing and African style head wrapping. One thing we’re eagerly waiting for this festive season? The food! Where better to pick up artisanal delights and fresh produce than an organic farmers market. Just imagine pillowy sourdough bread, organic veggies and refreshing kombucha for an organic feast. Yum! Gather the whole fambam for this – plenty of fun hands-on art and face painting activities and performances by acoustic musicians are also on the agenda. Mention cookies and mulled wine and we’re there! But hold up, Wool Craft’s Christmas Fair will also help you get cracking on that shopping list. Stock up on Koppart’s festive postcards and wrapping paper, snuggle up to some comfy cushions by Wool Craft and have your eyes set on unique home and fashion accessories by Simply Eclectic. Plus, there’s always room for statement jewellery by Amabilis Style and resortwear-inspired numbers by Sol Y Mar. Have a jolly holiday as the one-stop holiday shop fest is back with over 70 vendors to rile up your shopping game. Expect a mix of fair favourites like Indii Breeze and Zarabelle to sustainable treasures from Neis Haus, Fabricate and Vegepod. Mark your calendars. Get into the festive mood, Danish-style at this Christmas Bazaar. What to expect: handmade decor for your home, Christmas grub and sweet treats, open-faced sandwiches, hot dogs and beer as well as live music, lucky draws and children’s creative corner and a visit from Santa himself. You don’t want to miss this. You know you’re bound to find some incredible gifts when there are 30+ curated labels at one gorgeous venue. For the first time ever, Woobar at W Singapore – Sentosa Cove is hosting a Christmas fair and we’ve already blocked our calendars. Bring home everything from bags and jewellery to cosmetics to Chinese furniture. Earn good karma points this festive season and score a return ticket to Amsterdam at NCA’s charity Christmas fair. There’s going to be over 50 stalls of brands waiting for you. That’s 50 stalls worth of homewares, beauty products, fine wines and even some homemade cakes. Yes, please! Get to know more about the five charities you’ll be supporting (The Breadline Group, Good Sheperd, H.O.M.E, Project Pari and SILRA) and stay inspired. If shopping with a glass of champagne in your hand sounds like the kind of retail therapy you strive for, 1880 is your jam. Wait, isn’t this the exclusive members-only club? – you might ask. Well, you’re in for a treat as the club is opening its doors to the public for a special edition festive pop-up. Indulge in an evening of tipples, music and local lovin’. Shop the best homegrown brands including Mmerci Encore, House of Sheens and Scent by Six. Admission is free but don’t forget to RSVP to secure a spot. Go green this holiday season. 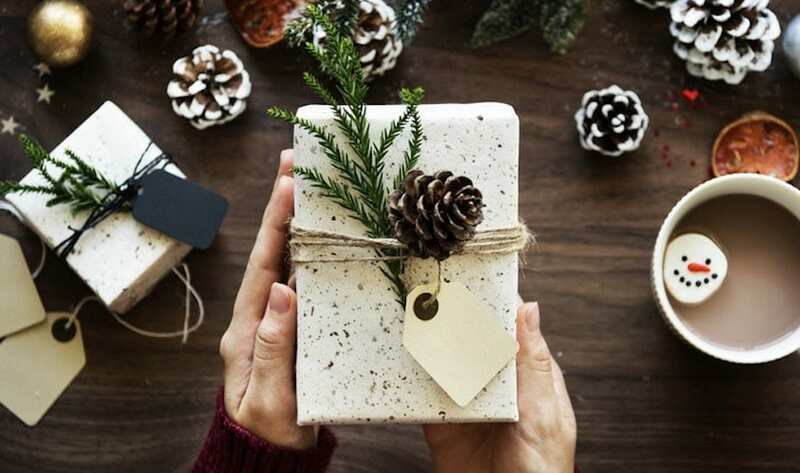 WeWork, the co-working space, has rounded up the best gift ideas that your eco-friendly friend will appreciate. While you’re at it, enjoy tunes by The Next Movement, make a pledge on their Coral-tree by World Wildlife Fund and take part in handmade beeswax wrap, DIY concrete planter and upcycled no-sew zipper pouch workshops. You know it’s a hit when a Christmas Fair’s onto its fourth year. It’s going to be a multi-sensory experience with real pine and fir Christmas trees, festive decor and ornaments, organic home scents, toys, handmade ceramic tableware, and truckloads of Christmas munchies for sale. They so aren’t kidding when they promised an eclectic mix of treasures. And you’ll get to meet Santa – double yay! Calling all bibliophiles, this is one Christmas pop-up you don’t want to miss. Why? Take home whole lotta books with Epigram’s one dollar book deals and discounts going up to 90% off (O.M.G?). 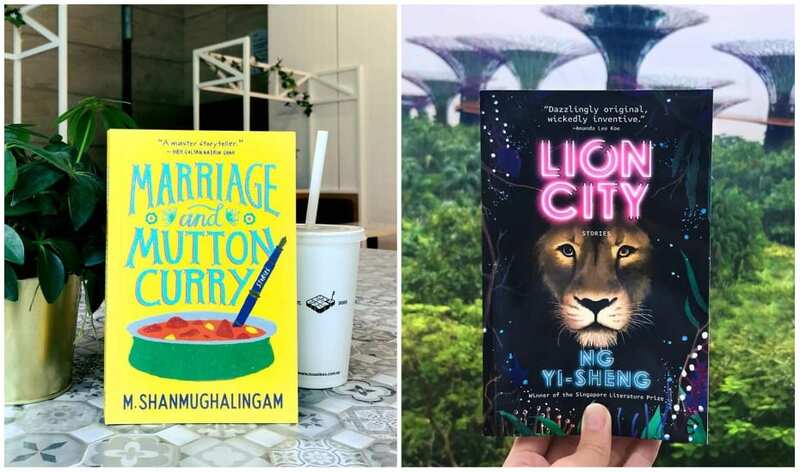 Get your hands on the best in Singaporean literature including bestsellers like Marriage and Mutton Curry, Don’t Call Me Mrs Rogers, This is Where I Won’t Be Alone to new releases The Minorities, Lion City and If It Were Up To Mrs Dada. 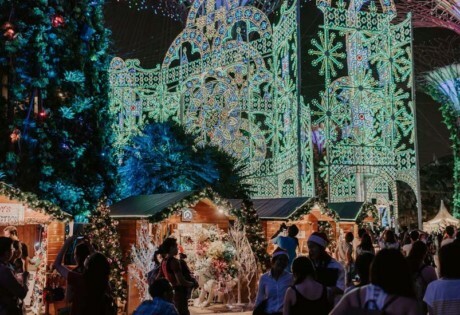 Our favourite kampong street market is back again for one last hurrah of the year, this time for a special Christmas version. Shop the most unique gifts from home-grown brands, feast on good food and enjoy unforgettable kampong moments with the whole fam. Home-grown labels, Ame Studio, Comme Home, Bakes by Jolenekcw, Le Loop, Mmerci Encore and Yi Lian Ng Floral Atelier have joined hands for a pop-up and we’re so here for it. Join them for amazing Christmas gifts (how does Moroccan homewares, fashion accessories and aromatherapy sound?) along with mulled wine and nibbles. Come on down and support local vendors like Our Bralette Club, Bamboo Straw Girl, The ZeroWays and Kombynation Co as they do their part to do good. All vendors will be setting some proceeds aside for selected charities and non-profit organisations. Pick a unique gift for your loved ones, discover what goes behind local crafts and enjoy some amazing Swedish cuisine. Another sustainable Christmas fair? We ain’t complaining. The Expat Fairs and Winestone are joining hands to bring you an environmentally-friendly Christmas with guilt-free fair-trade produce, artisanal fashion and jewellery, home decor and accessories. You’ll only feel guilty if you don’t turn up for the event. Participating brands include Box Green, The Maker Journal, Gift-it-Forward and ArtSE. Dining in? Enjoy 25% off your lunch or dinner. Fancy an indoor picnic with a (surprise, surprise!) socially conscious spread by Sonder Social? Head on down to our current bookstore crush, The Moon for a night of uplifting stories and #goodvibesonly. Plus, get your shopping fix at the #seriouslyconscious Christmas Market Fair where proceeds will be going to less privileged youth at Beyond Social Services. Drop by the Christmas fair at the Canadian International School (great for Westsiders!) for a stream of apparel, jewellery, bags, home decor and homemade crafts worth nabbing. It’s going to be one for the fambam with fun games, crafts, a photo booth and activities for the little ones. Plus, admission is free! As much as we love the season of giving and gifting, shopping for our loved ones can be a hassle. But Public Garden Christmas’s got your back. Shop all your gifts under-one-roof – and indulge in some retail therapy – at this mega shopping event that’s going to be a tropical-themed edition. Vendor applications are still open so watch this space for a list of brands. Load up your stockings with artisan and locally-made gifts and knick-knacks at the third edition of Wildseed’s Festive Market. Alternatively, you can fuel creative juices by taking part in terrarium building, acrylic pour dish, gem soap crafting or clay jamming workshop. No such thing as Monday blues when you’ve got yourselves a cool pop-up to check out. The theme? Treat yo self! 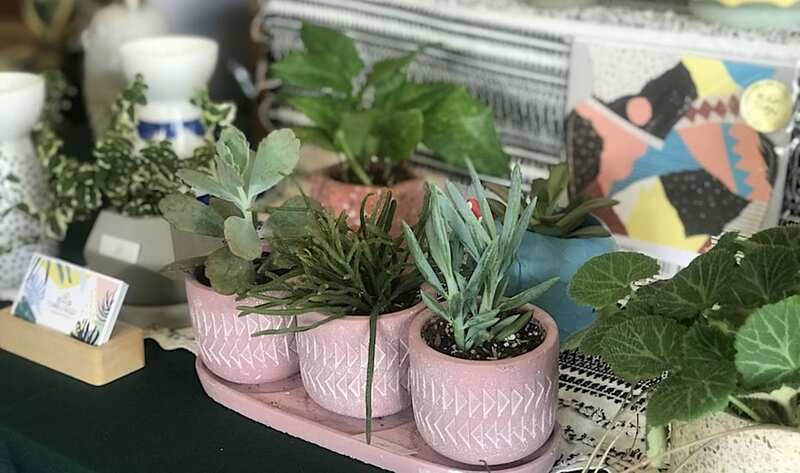 Say yes to scented candles, artisanal goods, care packages and fashion accessories from Artisan & Fox, Curated Creations, Hush Candles, Oasis:skin and Tumbleweed Plants. Don’t stop your furbabies from having a jolly good time. Shop, drink and mingle with other doggos and humans at this special Christmas market. Spend as much as you can ‘cos a percentage of the sales will be given to dog shelters. Looking to adopt? Yay for you! Drop by the adoption drive by Exclusively Mongrels Limited and F7-Friends of Seven and take a furbaby home. Wanna get in the festive mood?